After 27 months of work, ERGO is coming to the end of the project. 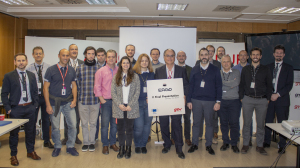 Within ERGO, GMV (Spain and United Kingdom), together with multiples European partners; has designed, developed and now validated a goal oriented autonomy system suitable to be applied to different space robots operating in harsh environments, both space and terrestrial (i.e. nuclear, oil and gas). In the last part of the project, during the test validation of the system, ERGO has proven successfully its ability to drive the DFKI SherpaTT rover to perform, in a representative Martian environment, a fully autonomous (goal oriented) long traverse of 1.4 kilometer. Starting with an original goal of taking a soil sample at a remote destination, the rover has performed a traverse of 1.4 kilometer-long route in 8 hours in the Moroccan desert landscape of wide plains, but also steep slopes and gorges. In doing so, it planned its own route and reacted to unforeseen situations, e.g. adapt to changing ground conditions and overcome obstacles. With respect to the current the state of the art, this is a great achievement in the robotic technologies domain, in which the ERGO system has proven its autonomous decision-making capabilities. 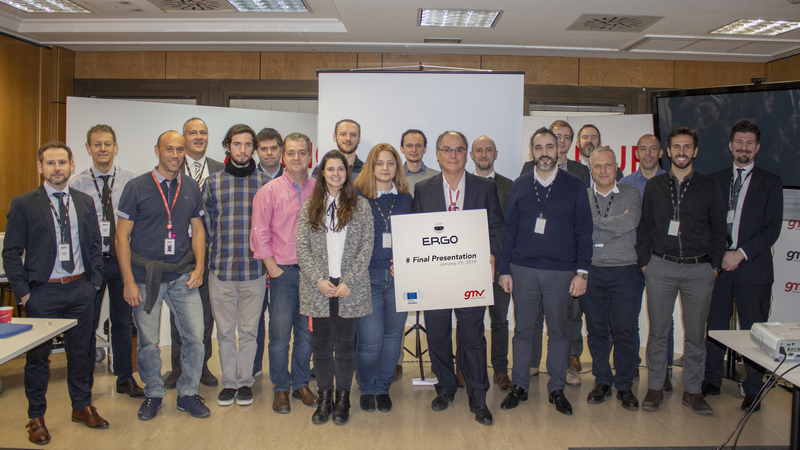 On January 29, ERGO held its Final Presentation at GMV premises, where REA, PSA and all the partners of the consortium reviewed all the projects results, the advances w.r.t state of the art, the tests and the conclusions. The ERGO system will be reused in several projects of the second phase of PERASPERA project……so the ERGO story doesn´t end, it is to be continued….